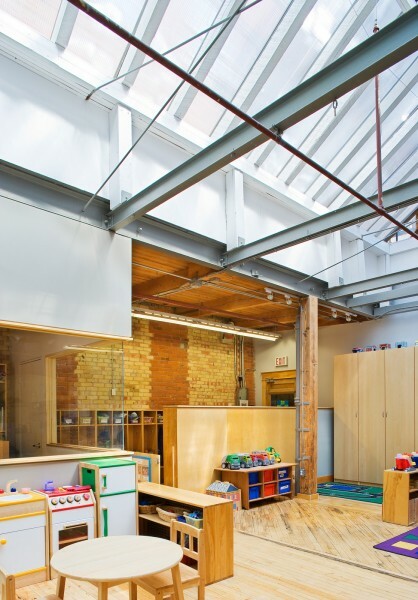 This renovation of the not-for-profit, arts-based daycare facility in the historic 401 Richmond building in downtown Toronto’s fashion and tech district presented a number of challenges, including an updated layout incorporating additional program within a limited footprint, and the integration of modern design elements while respecting the 130-year-old building envelope and structure, all on a very tight budget and timeline. 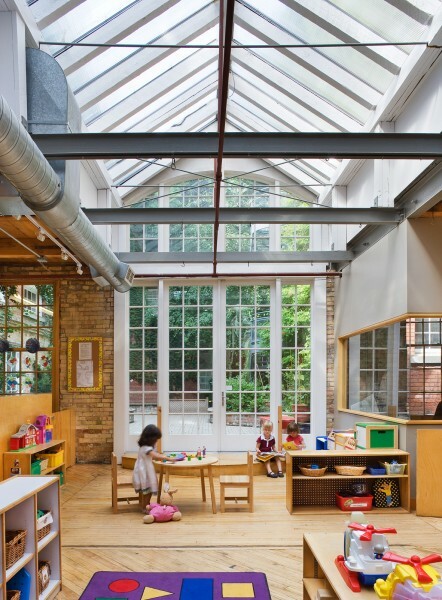 A number of original building elements were maintained and featured such as the original wood flooring, exposed brick walls, exposed structural steel and an industrial skylight which floods the space with natural light. 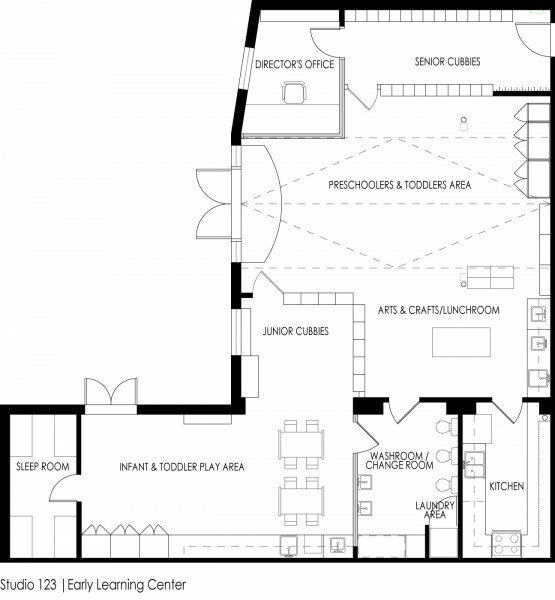 The Director’s office, previously located outside the daycare, was integrated into the space to allow more effective oversight of daily operations. A large wrap-around window looking into the main space provides not only views but also ample natural light from the skylight above. Well-worn finishes and damaged millwork were replaced with more durable and sustainable materials. A creative rework of storage areas greatly increased much-needed storage while concurrently serving as elements to define spaces of activity. 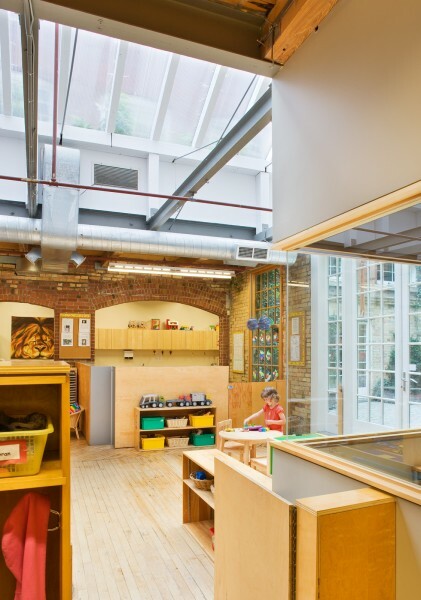 Material and colour palettes were unified with an emphasis on natural materials over primary colours typical in childcare settings, providing a subtle and more calming colour scheme. Wood cubbies for the children were reclaimed from another daycare facility and refinished as a means of reducing costs and waste material, and only low VOC finishes were employed throughout. The original spirit of a historic space has been maintained in a sensitive manner while incorporating the highly-detailed and functional program required of a daycare facility.